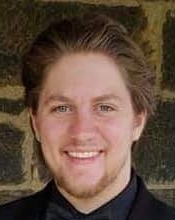 Daniel Paul Hartman, 18, left this world to join his heavenly Father on January 26, 2019, at his home surrounded by his family. Beloved son of Karen Hartman and stepfather, Eric Koehler of Hookstown, Pennsylvania and father, Paul Hartman Jr. of Bethel Park, Pennsylvania. A 2018 graduate of South Side Area School District and Beaver County Career and Technology Center. He started his career as a certified welder and was a member of the American Welding Association. He started skating at age three and became a skilled hockey player belonging to several different traveling hockey teams. Hockey was his favorite sport. Daniel enjoyed the outdoors, riding quads, fishing and working on antique John Deere tractors. He was preceded in death by his grandfather, Daniel Scott Mallinder. Daniel is survived by a sister, Anna, 13 and a brother, Andrew, 10; the love of his life, Sarah Louise Fisher; maternal grandmother, Joy Mallinder and his paternal grandparents, Paul Sr. and Barbara Hartman. Special thanks to all those who helped Daniel through this difficult journey, you know who you are. Family and friends are welcome to call at the MCCONNELL FUNERAL HOME, 447 Pine St., Hookstown, PA 15050, on Thursday from 6 to 8 p.m. and Friday from 2 to 4 and 6 to 8 p.m. Services will be held, Saturday, February 2, 2019, at 11 a.m. in the Hookstown Free Methodist Church with the Reverend Wilmer J. Olszewski officiating. EVERYONE PLEASE MEET AT THE CHURCH. He will be laid to rest at the Millcreek Hill Cemetery. 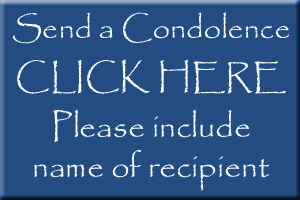 In lieu of flowers please make donations to Hancock County Animal Shelter, 715 Gas Valley Road, New Cumberland, WV 26047.